What options are the treatment options? What is Laparoscopic Heller/ Cardio Myotomy? As the name lends itself to, is a process other than intrinsic disease of the oesophageal myenteric plexus leading to motor dysfunction identical to that of Achalasia. In other words it is a mechanical cause of a dilated oesophagus with absent peristalsis and increased tone of the lower oesophageal sphincter. It is important that you see a specialist to rule out the difference between achalasia and pseudoachalasia. The management of the 2 conditions is very different. How does acahalasia get diagnosed? You will need to visit a specialist. 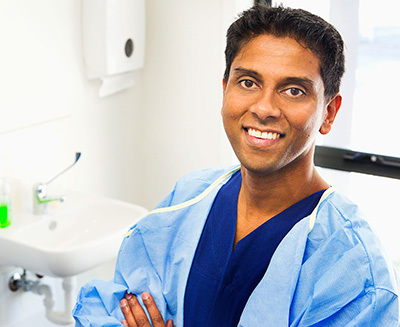 Once you have had a complete history and examination done you will require a gastroscopy. In addition to this, radiology imaging in the form of either a barium swallow or CT scan with oral contrast. In addition to this (if achalasia is suspected) you will need to have an oesophageal manometry. How do we classify achalasia ? characterised by a pan-oesophageal pressure, with residual muscle function(circular & longitudinal) thought to correlate with less myenteric neuronal loss. What options are there for treating achalasia? Currently all treatment options are directed towards the management of symptoms only. What is Laparoscopic Heller-Cardio Myotomy? This is a ‘key hole’ operation that is done through the abdomen with the aim of mobilising the oesophagus up into the chest to create enough room to perform controlled division of the muscle fibres(myotomy) of the oesophagus that are constricting it. The intra-abdominal length of oesophagus is restored. This is often done together with a laparoscopic fundoplication. If you would like to know more about this or speak to a specialist, please click here to arrange an appointment at the Victorian Specialist Surgery Centre.